With guns drawn, Santa Maria police arrested a 24-year-old Santa Maria man who was suspected of stealing diapers from the Walmart on Bradley Road on Saturday afternoon, police said. At approximately 3:30 p.m., Joseph Dollette told a loss prevention employee of Walmart he had a gun in his backpack and was a member of a prison gang. Dollette then fled with the infant hygiene products. The threats intimidated the employee who allowed Dollette to flee before he called law enforcement, police said. Shortly afterwards, police found Dollette at a nearby gas station parking lot. Officers surrounded Dollette’s vehicle and he surrendered. Officers did not find a gun and later determined Dollette was not a gang member. Because of the threats, police arrested Dollette for robbery. Just wait until the no bag NAZIs get a hold of SB county. I tell you, shrinkage in SLO county skyrocketed and continues to climb because of this whole bag fiasco. We move from “leave backpack and bags at the door” to “better bring them in and take them with you up and down the aisles” – what do we think is going to happen? Couple that with a democrat economy, and it’s a disaster in the making. 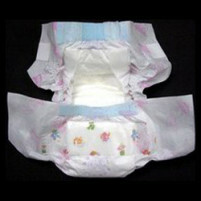 Checked the price of diapers lately? Who’s to say this guy wasn’t just going to sell them on the street to buy drugs or alcohol? Sure, there are lots of other things he could have ripped off, but no where does this story mention a baby. I have (some, limited) sympathy for this guy right up to the point where he threatened the eployee. That absolutely crosses a line, and they should throw the book at him. I wonder if the authorities pampered him? Thanks for the great come back, this subject was full of fun one liners but we’d get in trouble with too many more.